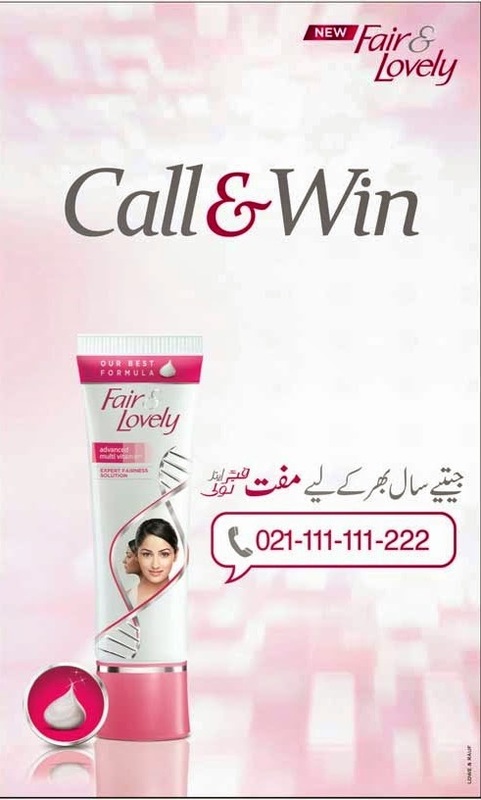 Fair & Lovely is very popular in Pakistan because its really work not only for dark complexion people it work for all skin problem, and peoples get good results after using this product. Fair and Lovely is Daily Fairness Expert. Call cost will be charged as regular calling rates in Pakistan. Tell them why fair & lovely is best and Get fair & lovely for 1 Year Free.